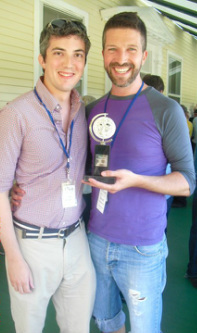 Brad proudly serves as Associate Artistic Director to John McDaniel and has served as Director of the Junior Fellows, now in its 7th year at the Cabaret & Performance Conference. He teaches techniques of interpreting music from the New American Songbook. The studies culminate with a show presentation. Past shows have included Raise Your Glass: Radio Top 40, The Lonely Hearts Club: The Music of The Beatles, Don't You Worry 'Bout a Thing: The Music of Stevie Wonder, and Coven: The Music of Stevie Nicks & Fleetwood Mac, Diamond in a Rhinestone World: The Music of Dolly Parton. 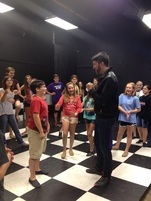 Students range from Broadway talent to first time singers. 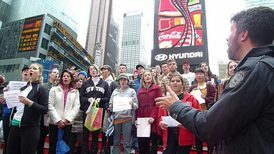 We focus of proper breathing, song styling, healthy belting techniques, bel canto techniques and repertoire suggestions and selection. Students also receive clean accompaniment tracks to their material. Contact Brad for current rates. Brad is available to come work with your theater communities. Focus is on acting song material and helping with whatever project your company is working on. Contact me to build a program that is custom for you.